The best thing to come out of the all-party delegation that went to Jammu & Kashmir a few days ago is that it had egg on its face. J&K can simmer down with talks, but its core issue will never be “settled” as long as Pakistan exists. 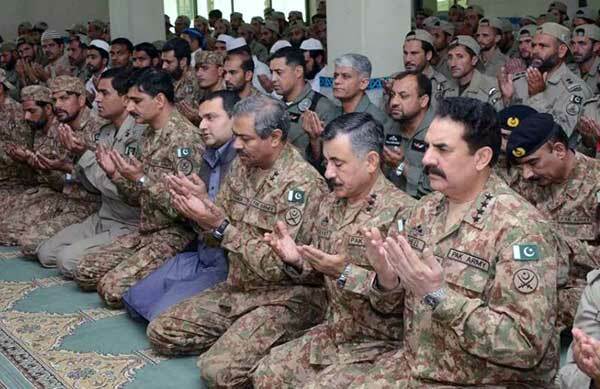 To deal with the Pakistan problem, we have to think (and out-think) the Pakistani army – its Deep State which includes the ISI and jihadi elements beholden to the army - and meet it measure for measure. The best thing to come out of the all-party delegation that went to Jammu & Kashmir a few days ago is that it had egg on its face, with the separatists either refusing to meet them, or meeting them to tell them their visit served no purpose. This should end the opposition’s bluster and unstated assumptions that the Modi government somehow mishandled the crisis that erupted after the killing of terrorist Burhan Wani, and they could have done better. The statement released by three separatists, Syed Ali Shah Geelani, Mirwaiz Umar Farooq and Yasin Malik, makes this clear. It said: “These methods of crisis management through parliamentary delegations and track-2 can’t take the place of a genuine transparent agenda-based dialogue to address the core issue…that has been our consistent stand…”. Since the “core issue” has always been plebiscite and/or merger with Pakistan, the so-called “transparent agenda-based dialogue” is essentially about the Indian state accepting the separatists’ terms of surrender on Indian sovereignty in J&K. No Indian government can do this, even if headed by the Congress or even the Left. The Congress had 10 years to sort out the issue, but got nowhere despite talks. So it’s holier-than-thou posturing is just political nonsense. Is there no peaceful way out? As Jammu and Kashmir witnesses persistent curfew with the death numbers increasing day by day, expectations from the Chief Minister of Kashmir to solve the issue are going high. The situation of Kashmir became worst following the killing of Hizbul Mujahideen Commander Burhan Wani after which numerous cases of human rights violations were reported and series of public protests were witnessed in Kashmir Valley. Chief Minister of Jamuu and Kashmir, Mehbooba Mufti condemned Pakistan for fuelling the ongoing mayhem in the valley. She presented a “three-pronged action plan” that incorporated a dialogue with all stakeholders during the talks that Mufti had with the Prime Minister in New Delhi. She released the outline of this “three-pronged action plan” before the Prime Minister for the resolution of the Kashmir problem, and which includes involvement of separatists and Pakistan in a realistic dialogue to bring Kashmir out of its existing geo-political reality. Mehbooba also stressed on the initiation of significant political action to revive reconciliation and resolution which was started by the then National Democratic Alliance government headed by Atal Bihari Vajpayee between 2002 and 2004. The intra and inter-state Confidence Building Measures (CBM) started during that time had facilitated constructive changes in the condition of the state and the region. The invention of the aircraft in 1903 added a new element to warfare. Now to maintain the balance of military power, the states needed air power also. India was introduced to the aeroplane in 1910. 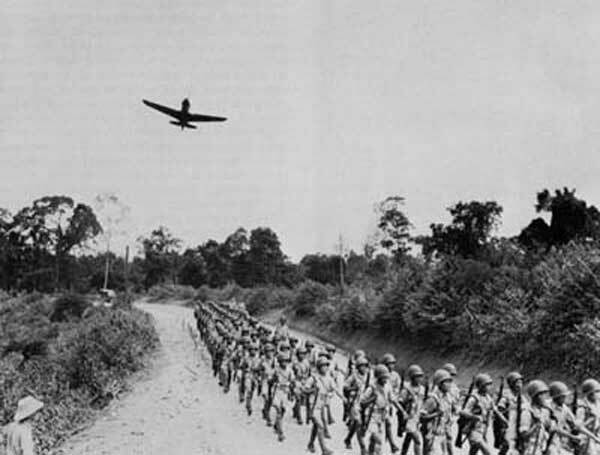 Subsequently, RAF Squadrons came to India for operations in North West Frontiers as also to ensure internal security. The public pressure ultimately led to the creation of an Indian air arm in 1932. However the expansion was very slow until the Second World War (1939-1945). The pressure of War led to the rapid development of the IAF and it became a nine-squadron force by the end of World War II. In the nineteenth century, the general belief was that a nation which commands the sea, rules the world. Indeed the Army could fight the battle on land but for overseas conquest, the Navy was vital. Great Britain ruled one fourth of the world because of its strong Navy. The invention of aircraft in the early twentieth century broke this belief when the aircraft crossed the English Channel. The British Navy could no longer hold on the offensive from the other side of the Channel. Consequently, the countries began to develop air arm for their defence. Flying machines were also being added to the Naval inventory as well. Initially, hardly anyone realised that flying machines would also be used for transportation. Civil aviation indeed came in much later. Meanwhile, World War I broke out in 1914 and this necessitated the vast expansion of military aviation. The aircraft entered India seven years after its invention. Exhibition flights were organised not only to display adventurism; but also to generate funds. In 1915, an Indian Flying School was established. Royal Air Force squadrons also set up their bases in India for internal and external security. The Indian Air Force took birth some years later. Each year, 5 September, the birthday of India’s second president and eminent educationist, Sarvepalli Radhakrishnan, is celebrated as Teacher’s Day. The modern celebration follows a time-honoured tradition of recognizing spiritual and academic teachers during Guru Purnima, which falls on the full moon day in the lunar month of Ashada (July). Since the Industrial Revolution, in India and around the world, the tradition of home or community schooling—often centered on the teacher—has gradually been transformed into a human supply chain schooling system centered on the educational institution. As we move towards an information age, nations around the world are grappling with what the next transformation in education needs to be. The current challenge in India remains a 20th century challenge of quantity and quality for its primary and higher education systems. It was during Pillai’s stint as home secretary that one of the separatist leaders, Mirwaiz Umar Farooq, reportedly said that the separatist leaders did not need security to be safe. 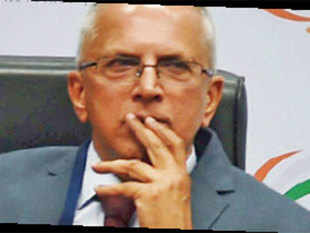 NEW DELHI: Amid reports that the government may scale down security of separatist leaders in Kashmir, former home secretary GK Pillai told ET, " Hurriyat should be ignored for at least two years. Their security should be withdrawn. The government instead should empower local panchayats in the valley which will help create new leaders." It was during Pillai's stint as home secretary that one of the separatist leaders, Mirwaiz Umar Farooq, reportedly said that the separatist leaders did not need security to be safe from Indian establishment but from Pakistani miscreants. "Mirwaiz had then remarked that India is a democracy and will not resort to violence while dealing with the separatists," said a former bureaucrat, who did not wish to be identified. The official further said, "Similarly, we also helped Kashmiri leader SAS Geelani during his treatment at New Delhi." Pillai, when asked about huge sums of money being reportedly paid by intelligence agencies to separatist leaders said, "The money, if being doled out, needs to be stopped." Besides scaling down security, the government may impose restrictions on foreign travel of the leaders who are suspected to have played a key role in the ongoing unrest in Kashmir. In June last year, the Centre had rejected the passport renewal request of Syed Ali Shah Geelani, who reportedly wanted to visit his daughter in Saudi Arabia. The passport was issued two months later and was valid only for nine months, but Geelani never visited his daughter. The PCA at The Hague ruled against the Indian government in the Antrix-Devas deal recently. The government should now settle the case out of court and look to minimise its losses. Devas Multimedia, a company started by former Indian Space Research Organisation (ISRO) employees and venture capitalists, struck a deal with ISRO’s commercial arm, Antrix Corporation Limited, around 2005. The deal was for leasing transponders for Rs 1,400 crore, which was to be paid over a dozen years. The rate was considered a steal, especially since ISRO was to incur costs in launching and maintaining the satellites. Based on this deal, Devas sold shares in the company to many investors, including Deutsche Telekom at a premium. It is believed that the Antrix-Devas deal was priced low by ISRO to grow the market, but it was cancelled because its details came out just when the 2G spectrum scam was making waves. The UPA government was under pressure at the time and did not want to be seen doing another sweetheart deal with private parties. The deal was cancelled on the grounds of national security interest. Companies around the globe have a lot of money to invest, thanks to near-zero interest rates, and India is the obvious choice for investment. The only challenge for India in this regard is its weak banks. But that can be fixed with the help of a few bold moves. There are two ways of looking at India’s problems: one is to look inward, where we will find a myriad problems, from stacks of bad bank loans to corporates unable to invest, to the slowdown in job creation, to a weak export market, to a violent crisis in Jammu & Kashmir, and so on and so forth. The other way is to look at India outside in. The world is a more troubled place than India. The central banks have failed to reverse the gloom that began in 2008, terrorism is raising its ugly head in Europe and the refugee crisis is threatening to make things worse, West Asia is a war zone in many places, Chinese banks are about to implode, Russia is struggling due to low commodity prices, Japan is about to try its nth stimulus package. The biggest thing is this: barring China, interest rates are close to zero in the big, developed economies. This is unsustainable. Money has to find profitable investment somewhere. The biggest companies in the world, which were the main beneficiaries of the unlimited flow of free cash from central banks, now have over $7 trillion in cash reserves and nowhere to invest, unless they spend it all in internal mergers and acquisitions. That $7 trillion in cash was counted around mid-2014, and could now be even larger. America’s tech biggies, from Apple to Microsoft and Google, collectively hoard more than $400 billion in cash. The top 10 US cash hoarders hold over $650 billion between them – one-third of India’s GDP; over 5,000 corporations around the world held nearly $5.7 trillion among them in end-2013. The cash mountain has only gotten higher since then, as most tech giants have spun more money out of thin air. Pakistan's Next Army Chief: Will Nawaz Sharif Have a Say? Two terror attacks in the northwestern region and the military's claim of averting "Islamic State" attacks have put a big question mark on the "success" of the Pakistani army's Zarb-e-Azb operation against Islamists. A suicide bomber targeted a court in the northwestern city of Mardan, killing at least 12 people just hours after gunmen stormed a Christian neighborhood in Peshawar - some 30 miles from the site of the second attack - leaving one member of the minority Christian community dead. Both attacks were claimed by the Jamaatul Ahrar (JA) organization, a splinter group of the Tehreek-e-Taliban Pakistan (TTP). It is not the first time that Islamists have targeted lawyers or the Christian community in Pakistan. In March, a Taliban bomber attacked Christians celebrating Easter in Lahore, killing some 70 people. On August 8, a suicide bomber killed 77 people, mostly lawyers, in an attack in the southwestern city of Quetta. The attack was claimed by both the Taliban as well as the self-proclaimed "Islamic State" (IS). The militant groups continue to target civilians despite the military's claim that its Operation Zarb-e-Azb, which has been ongoing for more than two years, has been a huge success. A day before the Mardan and Peshawar attacks, Asim Bajwa, the Director General of the Pakistani army's Inter-Services Public Relations (ISPR), said that security forces had killed 3,500 terrorists since the launch of Zarb-e-Azb military campaign in June 2014. "No one dared showany disrespect to the party or its leader.” At one of the MQM’s party offices which was demolished by authorities in Karachi, Pakistan. The MQM without Altaf Bhai offers hope, but also brings forth the fear of blood feuds for the citizens. There was a time, not long ago, when the Muttahida Qaumi Movement (MQM) controlled Karachi completely, run and dominated by its leader Altaf Hussain in self-imposed exile in London. After being formed in 1986, the MQM used to say that in Karachi not even a leaf would bristle without Bhai’s permission. He was called a Pir Sahib for many years, Quaid-e-Tehrik (leader of the movement), Rahber (guide), and always Altaf Bhai. A strike call in Karachi would paralyse the city as Altaf Bhai would address his muhajir disciples over the phone or video links, carried live by every TV channel that wanted to be spared the wrath of the party militants for not showing Bhai’s address. If ever there was a party which once resembled those called ‘fascist’, it was the MQM. No one dared show any disrespect to the party or its leader. It was not just the fear of reprisal and untold consequences which made the MQM, until the 2013 elections, the third largest parliamentary party in Pakistan since elections on a party basis began in 1988, but also widespread electoral support. This they managed as representatives of the petit-bourgeoisie and sections of a linguistic or ethnic middle class. The Urdu-speaking migrant electorate of the Sindh province — that eventually appropriated the political category ‘muhajir’ rather than just the Urdu meaning of the word ‘migrant’ — almost all of whom are urban, had seen great hope in the party which emerged as a major political player. The migrants (or refugees) who came from parts of India, but especially those who spoke Urdu, many from in and around U.P., and settled in Sindh and in the federal capital, Karachi, had belonged to what were considered to be more educated, skilled, and in line with the official structures of power that emerged in the newly created state of Pakistan. After 14 years of war the ground services, the Army and Marine Corps remain starved of new, cutting-edge, lifesaving matériel, while the Department of Defense and its big defense company allies continue to spend generously on profitable big-ticket programs like planes, ships, missiles, and computers. Soldiers’ and Marines’ “stuff” today is more Popular Mechanics than Star Wars . . . . [The latter would have been better] in Afghanistan had the nation spent a bit more to give [our forces] an overwhelming, in fact dominant, technological edge over the enemy. After suffering almost 7,000 dead Soldiers and Marines, the nation still cannot offer an advantage to those who do most of the dying. Our Soldiers and Marines should have gone into Iraq and Afghanistan ready for an unfair fight—that is, unfair in their own favor—at the squad level . . . More Soldiers and Marines might have been saved had . . . body armor been provided before they started on the march to Baghdad in 2003. Too many Soldiers and Marines died from primitive roadside bombs, “improvised explosive devices,” or IEDs, during the early days in Iraq and Afghanistan. The Pentagon weapons-buying bureaucracy was too slow in supplying the troops with explosive-resistant vehicles to protect against IEDs. Army and Marine Corps infantry squads were outgunned in Vietnam by the North Vietnamese Army’s superior AK-47 assault rifles. One would think that maybe, 50 years later, infantry Soldiers and Marines would be able to fire a bullet costing about 30 cents that did not disintegrate in the air. A $200 aiming device developed for hunters would provide the precision needed to hit a distant enemy target with the same relative precision as that of the rifles used by the Taliban. The Army has yet to buy it. For more than two-thirds of a century, this country has preferred to crush its enemies by exploiting its superiority in the air and on the seas. Unfortunately, these efforts to win with firepower over manpower have failed to consider the fact that the enemy has a vote. From Mao Zedong to Ho Chi Minh to Osama bin Laden, all our enemies have recognized that our vulnerable strategic center of gravity is dead Americans. It is no surprise that the tactic common to them all has been to kill Americans, not as a means to an end but as an end in itself. Every enemy has ceded us those domains where we are dominant—the air and the sea. They challenge us instead where we are weak: small units, on ground unfamiliar to us but familiar to them. China’s long-rumored military reforms became real in November 2015 when Chinese President Xi Jinping made important remarks at a meeting of the Central Military Commission (CMC) on military reforms. Xi, who also serves as CMC chairman, provided a basic outline of the military reforms, including the replacement of military regions with battle zones as well as other major structural adjustments. The key point was the establishment of a new military structure with a chain of command that gives orders top-down, from the CMC to battle zones and subordinate units, as well as a new corresponding military administrative structure. In other words, the CMC is to take direct command, while the five battle zones are to be responsible for operations, and each service is to focus its efforts on building combat strength. These adjustments started taking shape in January 2016 and the five battle zones (in place of the existing seven military regions) were set up the next month, marking the most significant change to China’s People’s Liberation Army (PLA) in decades. The newly established Rocket Force and Strategic Support Force (SSF), two new services of the PLA, were some of the major changes to the military’s structure. The transformation of the Second Artillery Corps (SAC) into the Rocket Force was not a surprise, as the SAC had already been an independent military branch under the direct control of the CMC. With the mission to “deter against hostile forces in all territories with both conventional and nuclear warheads,” the PLA Rocket Force, like its predecessor, the SAC, is responsible for the stockpile of surface-to-surface strategic and tactical ballistic missiles, which are China’s “lethal weapons” in its nuclear deterrence strategy. For long-term observers of the PLA’s development, that the SAC was restructured as the Rocket Force was not surprising. The establishment of the SSF, however, was a different story; to many specialists, the SSF represented a major break in tradition. In addition, after China announced its establishment, media reports on the SSF have been scarce. The new service is veiled in mystery. A look at the successes and complications of Xi’s signature project. Since then, the policy has been both fleshed out and elevated. So much so that some reference to the Silk Road Economic Belt and its overseas counterpart, the Maritime Silk Road, makes its way into statements at every meeting between a Chinese official and his or her Asian or European counterparts. According to remarks from Xi Jinping at a symposium on the Belt and Road held in Beijing on August 17 of this year, over 100 countries and international organizations have agreed to participate. Of those, 34 have signed formal inter-governmental cooperation agreements with China. In late August, the Japan Ground Self Defense Force (GSDF) held its annual ‘Fuji Firepower Demonstration’ at a training area near Mt. Fuji. During this event, the GSDF shoots off tons of ordnance and ammunition and puts its troops ‘into action’ with helicopters, tanks, and other hardware. The impressively orchestrated performance draws tens of thousands of Japanese spectators – most apparently unaware they are observing what is, in effect, high-priced ‘kabuki’ that masks serious national defense shortfalls. This year’s event simulated an ‘island re-taking’ scenario, an operation hard to replicate at a landlocked training area. The GSDF always puts on a good show and the troops are professionals. But one might leave with the wrong impression; specifically, that the Japan Self Defense Force (JSDF) is a finely tuned force capable of defending Japan. Instead, the event is a reminder that the JSDF is less than the sum of its parts, and it highlights a number of GSDF and JSDF shortcomings. The Japanese Government (GOJ) needs to remedy these shortcomings, lest it find itself militarily impotent in the face of its powerful and belligerent Chinese neighbor. In other words, GOJ must fix these problems or face probable strategic military defeat – perhaps without a shot being fired. China’s state-owned oil companies have drastically reduced investment in foreign oil fields in the last two years. This paralysis should mean that one major potential global buyer of oil fields is out of the race, and India can maximise its chances in the oil business. China’s state-owned oil companies, which were extremely active between 2002 and 2013 acquiring foreign oil fields, have gone really quiet over the past three years, with oil prices crashing and oil fields available at much lower prices than before. The reason for this is a mix of internal politics and weakening financials, the latter driven by the acquisition binge of the past decade. Their paralysis means that one major potential global buyer of oil fields is out of the race, which should mean lower asset prices for other buyers, such as India, and Indian companies ought to make the most of this window of opportunity, of a market with few buyers at a time when assets are cheap. This impasse that Chinese firms are going through also shows the downside of a system where the dominant political party is closely intertwined with all sectors of the economy: most senior officials of state-owned companies are also members of the Chinese Communist Party. From 2002-2010, China’s state-owned oil companies – led by Sinopec, CNOOC and PetroChina – spent $83.2 billion, acquiring oil and gas fields across the world. The next three years (2011-2013), Chinese firms were in overdrive, spending an additional $72.5 billion on oil fields. The year 2013 saw three of the biggest deals ever by Chinese firms (Refer Table 1). Harnessing new technologies could boost efficiency—a mandate that’s especially important for oil and gas players globally. As the conflict in eastern Ukraine between government forces and pro-Russian rebels enters its second year, Kiev is trying to gain technical leverage by investing in advanced battlefield technologies. In August, the Ukrainian defense industrial conglomerate Ukroboronprom showcased two unmanned platforms -- the Gorlitsa unmanned aerial vehicle and the Phantom unmanned wheeled platform. The high-profile unveiling was attended by the Secretary of the National Security and Defense Council of Ukraine, Alexander Turchinov, Ukrainian Defense Minister Stepan Poltorak, and Commander of the National Guard of Ukraine Yuriy Aller, along with the directors of more than 100 industrial members of Ukroboronprom. The domestically produced Gorlitsa is expected to have a range of 1,000 kilometers (621 miles) and to carry various munitions. Meanwhile, the United States is assisting Ukrainian capabilities with the delivery of 24 short-range Raven mini-UAVs as part of an aid package -- the Raven is widely used by American and other forces across the world. While unmanned aerial systems are broadening their spread across the world's conflict zones, land-based unmanned vehicles are covering new terrain on the battlefield. According to respected military blog BMPD, the unmanned multipurpose tactical vehicle Phantom was presented as a remote-controlled 6x6 vehicle. The prototype features a turret equipped with a 12.7-mm machine gun and is supposedly equipped with a day-and-night sighting system that allows for firing at any time to a distance of more than 1 kilometer. Phantom is equipped with a hybrid engine -- pairing a gasoline generator and electric motors -- as well as a power reserve of up to 20 kilometers. The vehicle is controlled over a secure radio range of up to 2.5 kilometers or via an optical fiber cable with a length of 5 kilometers. The prototype is designed for transporting ammunition and evacuating the wounded from the battlefield, and to perform a variety of combat missions. Earlier this year, Russia also unveiled an unmanned ground vehicle prototypedesigned for battle -- the tracked, tank-like Uran-9 platform is expected to be fielded with the Russian military and even exported abroad. The Asian Infrastructure Investment Bank (AIIB) is China's answer to the multi-trillion dollar infrastructure spending gap in Asia. However, many see the bank as an extension of Chinese geopolitical influence. As leaders from Group of 20 (G20), representing 85 percent of global GDP, met in Hangzhou China last weekend, The Cipher Brief sat down with Parag Khanna, author of “Connectography: Mapping the Future of Global Civilization,” to discuss the merits of the AIIB and how American policymakers should deal with the bank. TCB: In your book, Connectography, you talk about how it is incorrect to view international trade and economics in the framework of national competition. Is that still true in the case of something like the Asian Infrastructure Investment Bank (AIIB), which is often seen to be in direct competition with Western institutions? PK: The AIIB is infrastructure as a tool of grand strategy, it’s infrastructure as a tool of foreign policy, it’s infrastructure as a tool of empire-building and hegemony, and within that there are competitive dynamics. But, first and foremost, it’s a Chinese project that is multilateralized, in the same way that the North Atlantic Treaty Organization (NATO) is an American project that is multilateralized. This is why I refer to the AIIB as the “new NATO of the East” in Connectography. However, the AIIB doesn’t just compete with western institutions, it also overlaps because its membership overlaps with western organizations. You could never have imagined members of the Warsaw Pact also being members of NATO - that would make no sense. But today, you have American allies like South Korea, Australia, Canada and all of Europe joining the AIIB, which makes Washington’s head explode. But that reaction misses the fact that we no longer live in a set of rigid blocs because infrastructure is connecting all of these regions. Even though we think of individual countries and alliances as competing, in reality they are also collaborating. Kiev thinks it’s ready to face an endless list of enemies. But it can’t. Coming Soon: A European Union Army?